Back in February I went to a Tapas Cookery Class with Omar Allibhoy as part of the book launch for Olive It! This competition was something I had won through Taylah's twitter competition, which I cannot thank her enough for. It was such good fun and, as I love tapas anyway, a great learning experience. We made a three different dishes and I want to talk you through them, as post at a time. 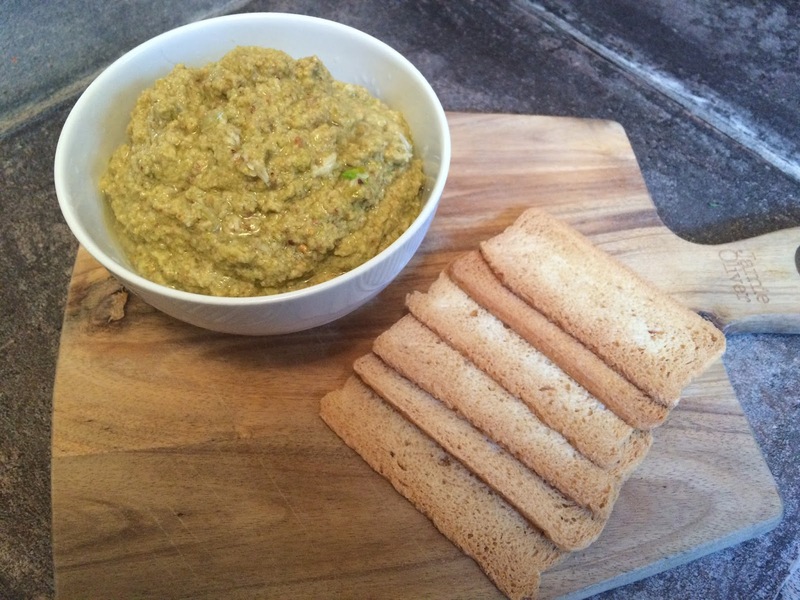 First off, the starter - Olive, Manchego Cheese and Pistachio Pate - a coarse one, more like a tapenade than anything. The flavours are incredible and work so, so well together. 1. Blend all of your ingredients in a food processor. 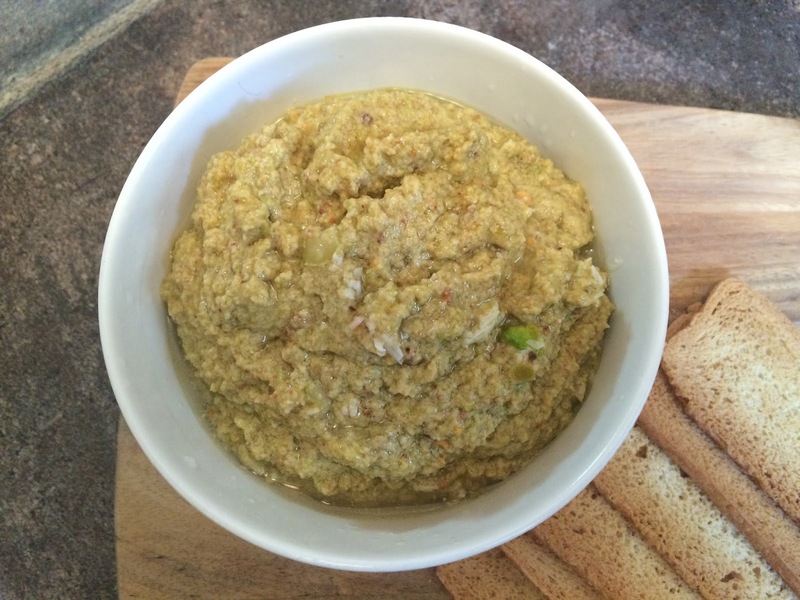 You don't need to blend it to a smooth paste - this is a coarse pate! 2. And that's it! You can serve it with whatever you like. At the cookery class we had it with tuna fish, which initially I thought wouldn't work but it was a great combination of flavours. You could use this on a sea-bass filled or even as the crust for lamb. I had mine at lunch time with some crackers, a perfect light snack. Stay tuned for the next course from Omar's Olive It! cookery class.